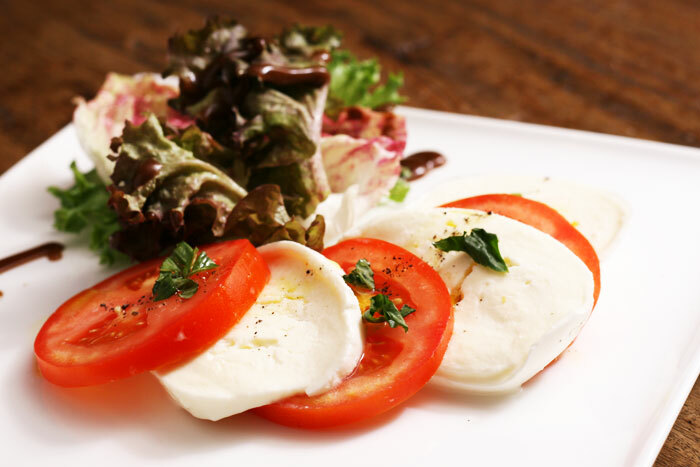 We can’t disagree that many Italian restaurants are exist in Thailand. 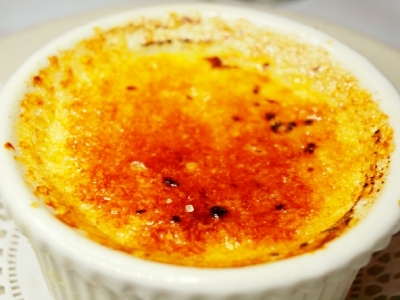 However, I proud to recommend about the one which is mentioned widely by many gourmets. 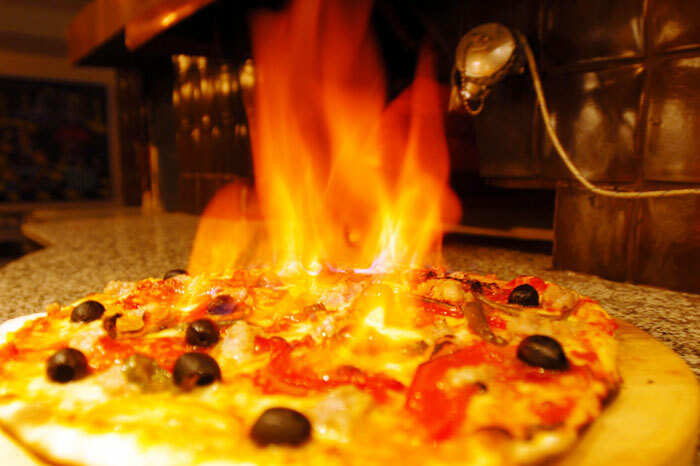 The Bacco Restaurant and Wine Bar is the Italian restaurant that full of many kind of italian foods. The name Bacco come from Bacchus the wine God of Roman deity. Moreover, the Bangkok Post has announced this establishment to be the most popular, best quality, and price in town. 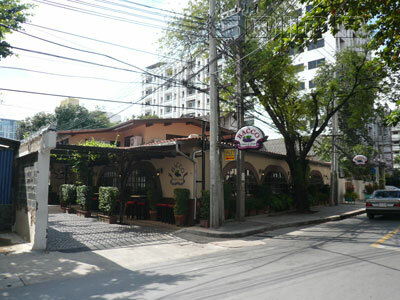 The Bacco locate on 35/1 Sukhumvit Soi 53 Bangkok 10110. The owner Sergio Forte decide to add more than 200 seats to support and facilitate customers as much as possible. This restaurant has many reputations, so it doesn’t surprise why many people come everyday. Follow by main dish which is the most interesting, we can’t forget about the DIABLA. This one has a very interesting serving because it come with fire! 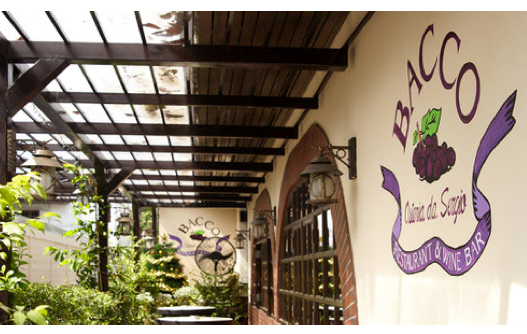 I personally think that Bacco is the restaurant that be worth to pay. Although you may feel umcomfortable due to many people who continuously come. However, you get a good taste and memory back. so I think it is a good choice for a people who like Italian food. 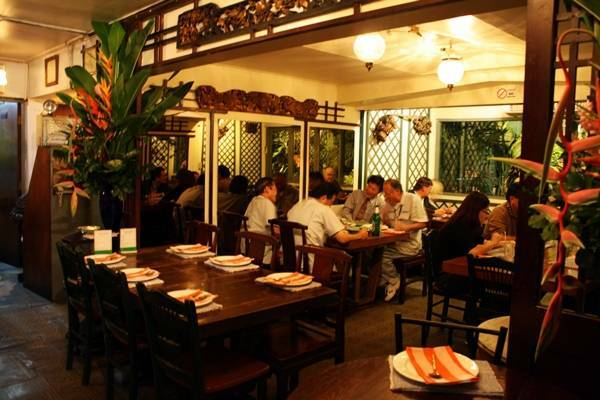 Bangkok has a lot of restaurants, especially in an area that is very popular of foreigners. Today we will recommend you about the delicious and low-price restaurant at the centre section of Bangkok. 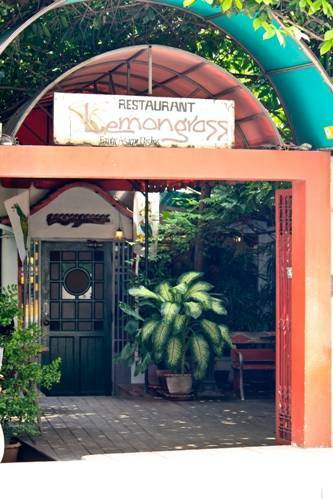 This is the Lemongrass restaurant where located on soi 24 of Sukhumwit Road. 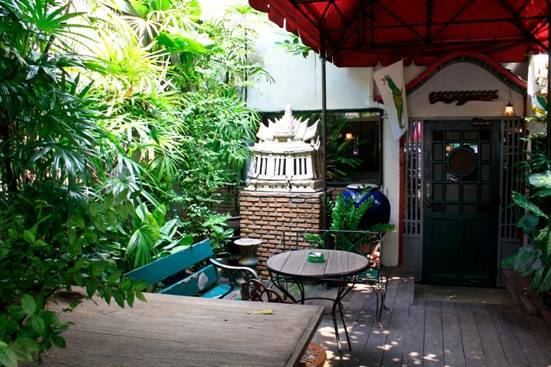 It is not too far from The Emporium Shopping Complex, and you can walk about 100 meters into Soi24.The Lemongrass Restaurant is very popular for people who live in an area because of the original Thai dish and the suitable price. 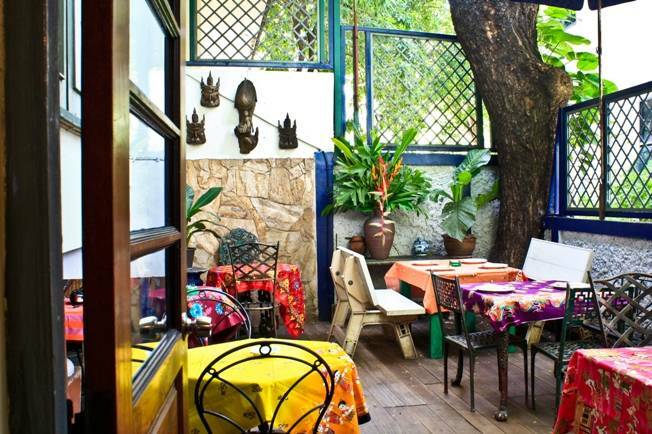 The Lemongrass restaurant is a unique with the decoration like home among the modern buildings. We will get comfortable feeling. They have both of outdoor and indoor areas. The interior decorate with artistic work of Thai culture like carving, pottery and gems. 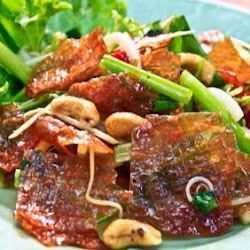 They have a lot of recommendable recipes such as Tomyam, papaya salad, spicy sliced sheets of dried and crispy pork salad and oasted pork. Moreover, they prefer cooked rice buffet with 45 baht. The prices of each dish are very suitable for both of Thais and foreigners. 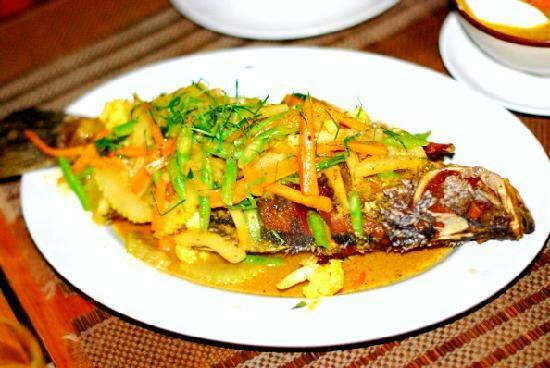 They start at 40 – 500 baht; it depends on weight and size of the dish, especially seafood. Services of the restaurant intend to be informality. The customers can comment by take a questionnaire. 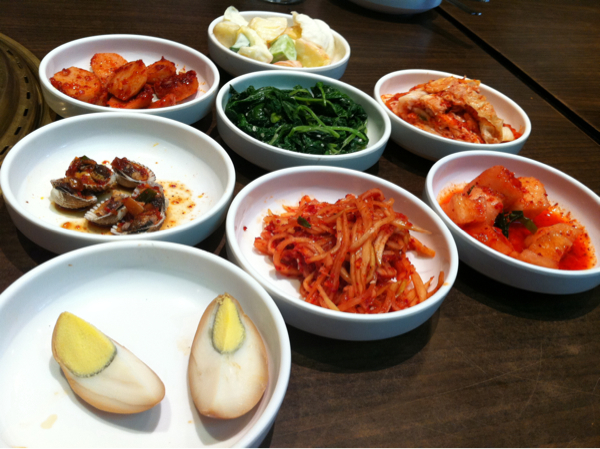 For people who loved buffet, I recommend you one of the most well-known Korean buffet restaurants, Kosirae. 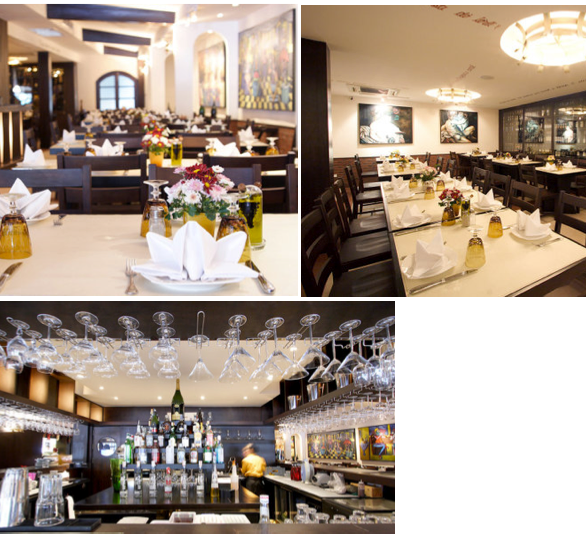 Kosirae is located on Sukhumvit 57 near Thonlhor skytrain. The restaurant opens from 11.30 a.m. to 22.00 p.m. Inside the restaurant, there are around 10-15 tables. They use natural charcoal for grill but do not afraid that there will be a lot of smoke because there are cooker hoods at every table. 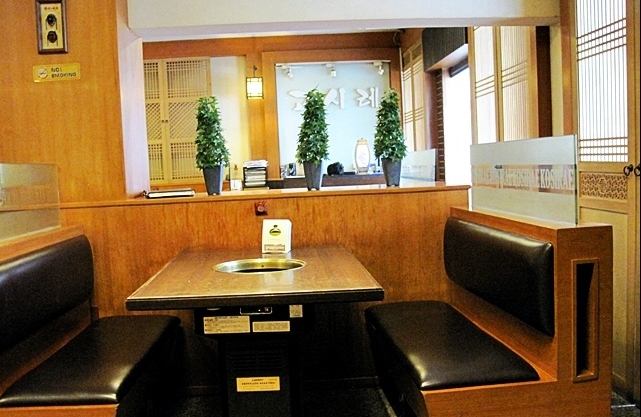 The restaurant decorated with Korean style such as Korean lamp, the tables and chairs with Korean wood. All dishes have unique and memorable style. Before the main dishes they will serve Korean traditional dishes such as egg boiled with gravy, ark shell, fish ball mingle, vegetable with sesame oil, Kimchi and vegetable and fruit salad. 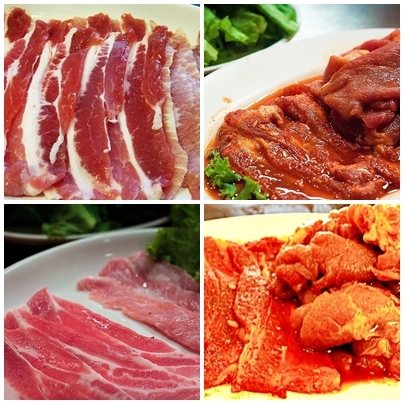 There are four types of pork which are original bacon and bacon with Korean sauce, original pork and pork with Korean sauce. They will serve you with some lettuces. The important things that you should not miss are sauces. 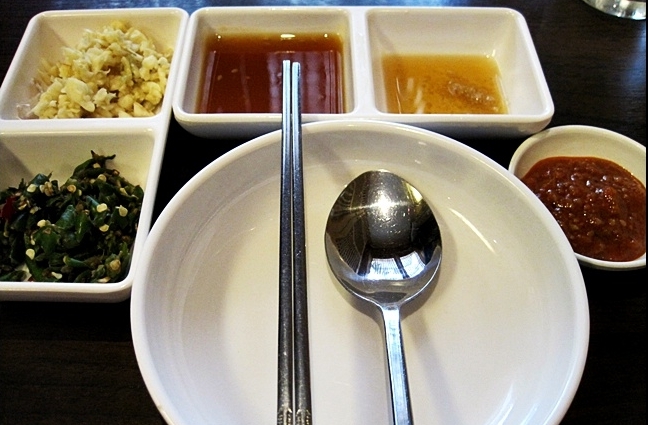 There are three sauces which are Korean sauce, garlic sauce and guinea-pepper with Korean sauce. You can order more dishes from the menus, if you are not full. There is Korean rice with white sesame and they also have menus for people who are fans of beef such as are Seng Deung Sim (Fresh Beef), GalBiSal (Short Rib without Bone), Chadobegi (Beef Brisket) and Yangnyum AnChangsal (Seasoned Outside Skirt). This is the most popular dish called “Dol Sot Bi Bim Bab.” It is a hot rice mix with Korean sauce and vegetables. It has a good taste. 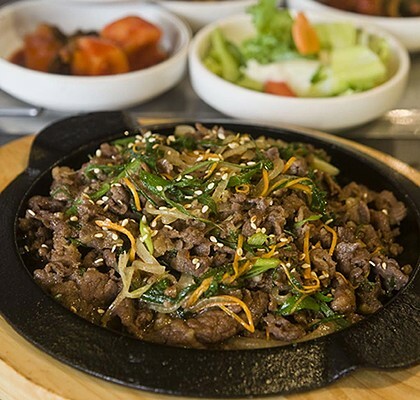 This one is my favorite dish called “Bulgogi.” It is Korean traditional dish that usually consists of marinated barbecued beef, chicken and pork. 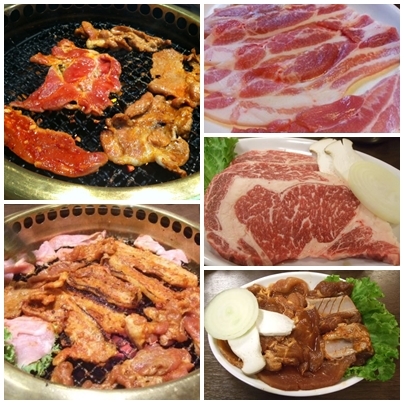 I like this one because there are various kinds of beef, pork, chicken and mix with many vegetables. I think its sauce is very great. It tasted delicious. While you are eating, you can order all buffet dishes unlimited and they will serve you a jug of water for free. 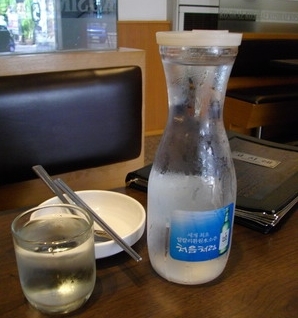 You can order another beverage such as Cha and Sujeonggwa. 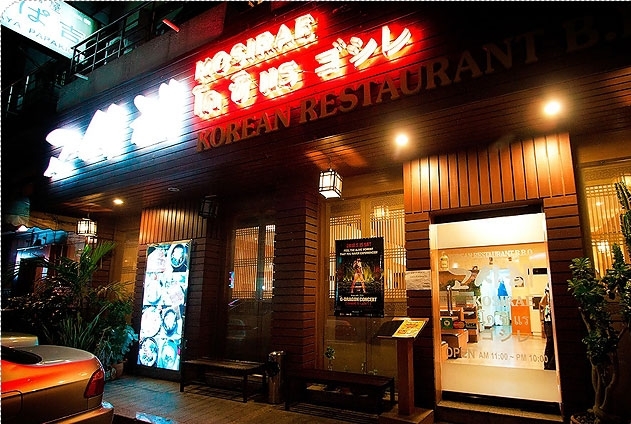 I assure you that you will love this restaurant because the prices are fair, all dishes are great and decorations are attractive with Korean traditional style. If you are the one who love buffet, you should try these menus at Kosirae restaurant. For more information please contact at 02-714-8683. Today, i would like to review a trendy restaurant at 8 Thonglor building. That is Crepes & Co ! Crepes & Co has been reviewed and talked as the best restaurant in many magazines, television and radio programs both in Thailand and abroad. The decoration of this restaurant are warm and homie. They use a combination of bricks and oak furnishings. Moreove, the is lined with photos of the Mediterranean scene . My first dish was the Moroccan Salad. The vegetables were crunchy and the dressing was very delicious. The next was a savory dish, the crepe with eggs and bacon. Here is my favorite Framboise crepe, a combination of crispy crepe filled with cold scoops of vanilla ice cream and topped with a sour, warm raspberry sauce. This is a recommended dish for everyone. If you have kids, do not worry because there are a special menu and high chairs available for your children of all ages at any time.In addition,there is a special corner for kids with toys to keep them busy and a selection of comic books is available as well. I confirm that this restaurant is good for everyone. 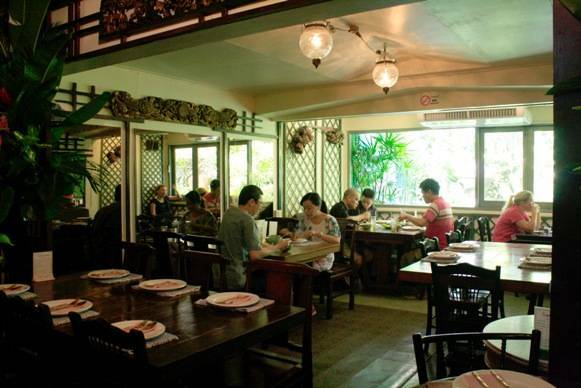 You can go with family, friends and lover because there have wide menus that suit for all ages. Not only serve delicious dishes, but also provide a great service. It is great to visit Crepes & Co, the service is top-notched and the food is so yummy. Do not miss to visit here! Price is on the higher end but you get what you pay for. 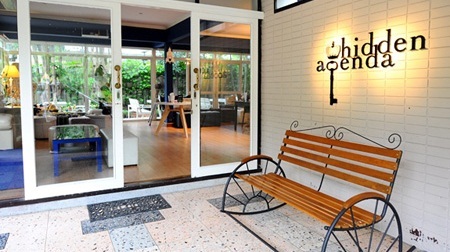 It opens daily from 9 am to11 pm at 8 Thonglor building, ground floor, Thonglor Soi 8. Everyone knows about Chinese food but only few know where is the right place to go. Today, I visit Mr.Meng Dim sum. Basically, Mr.Meng sells Dim sum and many kinds of Chinese food. However, the point is Dimsum and other Chinese recipe always quite a bit pricy. 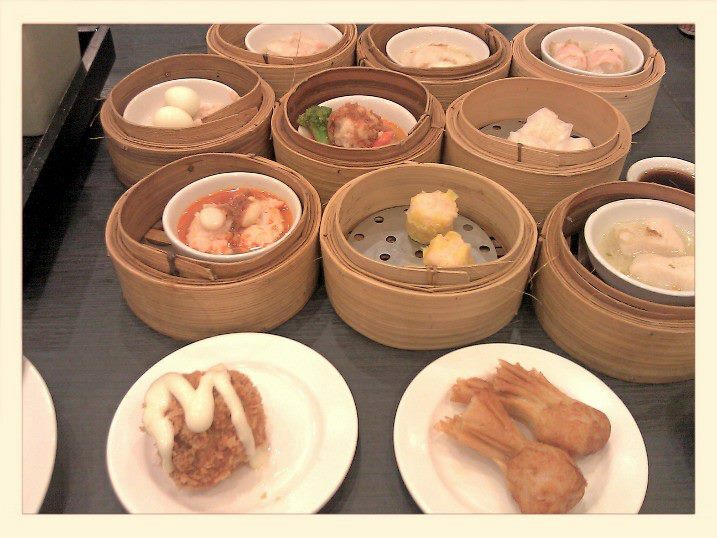 But at here, price tag is rather reasonable and right now there is a promotion buy 4 Dim sum, get 1 free. I ordered ten dishes of Dim sum and a kettle of hot Chrysanthemum tea. Every dish is unique. Some is spicy and some is quite sweet. Every dish just came out of oven, warm and in good condition. Let’s begin with Ha Kao (ฮะเก๋ากุ้ง) and find out that it’s smooth and taste well with Dim sum sauce (จิ้กโฉ่ว). After Ha Kao and three or four of ordinary Dim sum, it’s time for Dimsum that soak in XO sauce. It’s a signature menu of this restaurant. XO sauce is the spicy sauce which is widely used in Hong Kong and Southern China. 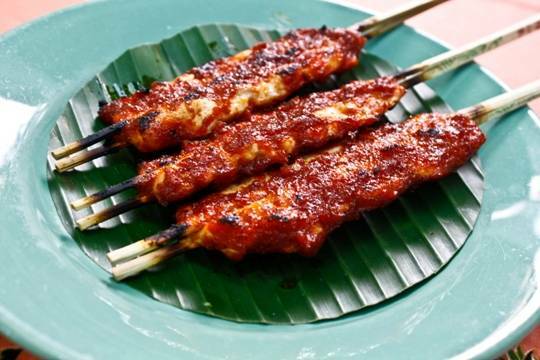 This sauce turn an ordinary Dim sum into a spicy one, it’s just delicious. End up with fried lobster shrimp (which basically two big shrimps and a pork chop mold together and fry.) and fried cream bun. 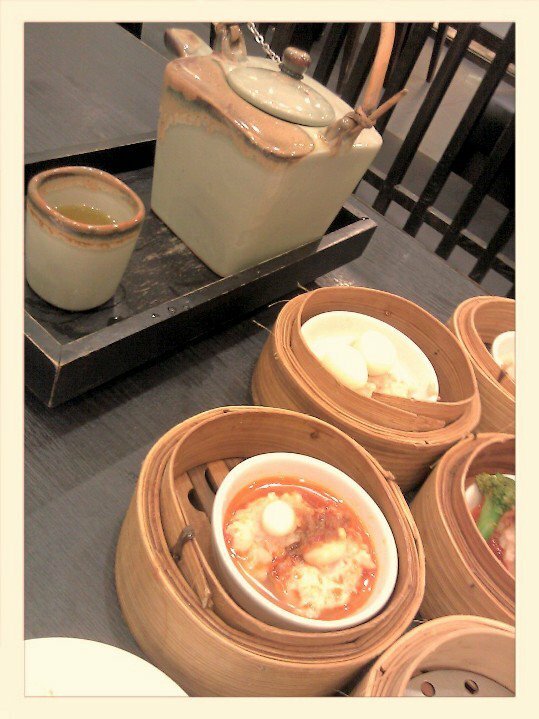 Finally, finish the meal with a sip of Chrysanthemum tea which suits perfectly with tasty Dimsum. 3rd floor near Secret Recipe, Central City BangNa, Bangkok. For those who don’t want to back home after done with your job, I will recommend you to go to Hidden Agenda. Hidden Agenda is a medium detached house with two floors locating on Ekamai, where we have already forgotten that there is a quiet place like Hidden Agenda in this Bangkok city. 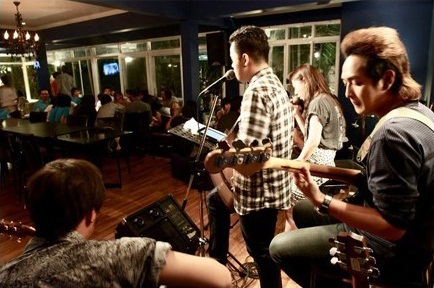 Hidden Agenda believes in their slogan that Good Food, Good Drink, Great Music and Unlimited Agenda. When I first came to Hidden Agenda, I felt it was like my best friend’s home. Hidden Agenda was decorated with blue and black shades, vintage and classic sofas combined with a green backyard. Hidden Agenda is the place that everyone can go and share their lifestyles, secrets and stories with their friends without any obstacles. According to the slogan of Hidden Agenda, Good Food is one of the most important slogans that Hidden Agenda are concentrating in. 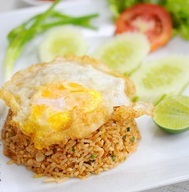 Hidden Agenda Fried Rice is one of the signature dishes of the restaurant. It combined fresh shrimps and angled fish altogether. 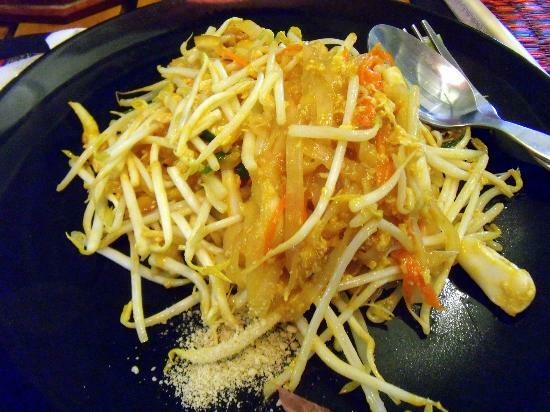 There is a little bit Isan style in this dish but it perfectly matches with other ingredients. 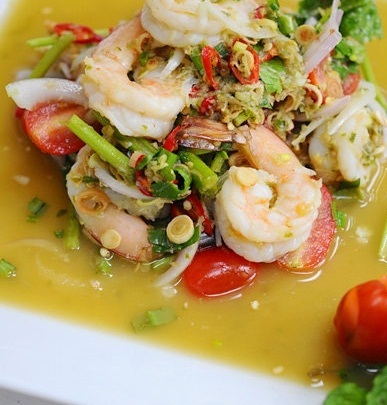 One of the most delicious signature dishes is Spicy Wasabi Shrimps Salad. It is a fusion food that combined Thai style with Japanese style perfectly. Next slogan is Good Drink. 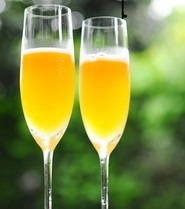 Hidden Agenda pays attention to every glass of drink that serves to the customers. One of the signature drinks is Hidden Passion. Hidden Passion is a cocktail that mixed punch and high quality of vodka smoothly. About Great Music, Hidden Agenda provides folk song live bands to the customers every Thursday – Sunday at 9.30 P.M. Jazz and Bossanova lovers don’t miss it!!!! 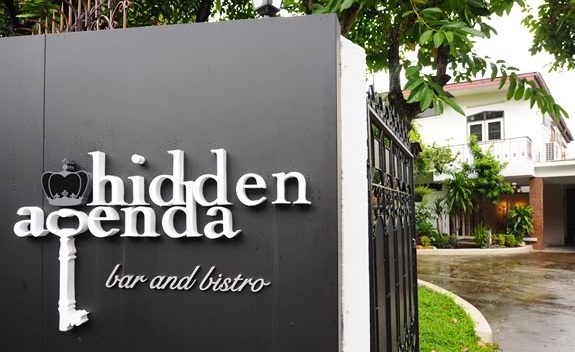 I can assure that Hidden Agenda are the bar and bistro that suits for everyone in Bangkok city. 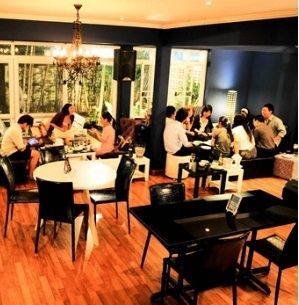 This place will help you relax with your friends comfortably and share your stories freely. 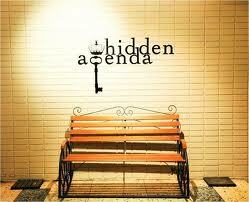 I can confirm that Hidden Agenda will make your night becomes a perfect night for you and your friends.